Join a group of heroes in a sprawling 4 part saga about friendship, dreams and destiny! 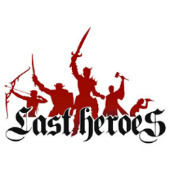 Last Heroes (2010) Viktor is the new king of Abakam, despite being the younger of 3 brothers, Viper, the older brother is not satisfied with his father's decision, which brought him an intense sense of vengeance against the kingdom. Viktor along with his friends will do anything to stop him! Last Heroes 2 (2010) Amelia and Roland are headed to Odaro continent, where Amelia thinks she will find her parents and discover the truth about her past... However, reaching Odaro they realize that it won't be an easy task. They join forces with Lutania Army, a group of soldiers that are fighting against Illion. Last Heroes 3 (2010) Amelia and Roland are headed to Memato continent, where they think Baroda Prison is located, the place where her mother is being held captive. Will they manage to free her? You must help them in this very dangerous and amusing journey! Last Heroes 4 (2010) The finale to the Last Heroes Saga! Join Amelia, Viktor, Roland and Vanessa in the final chapter of this exciting journey, as they finally find out the true whereabouts of Amelia's mother.